Are you looking for something to do this following days of February? Why don't you try free art workshop. 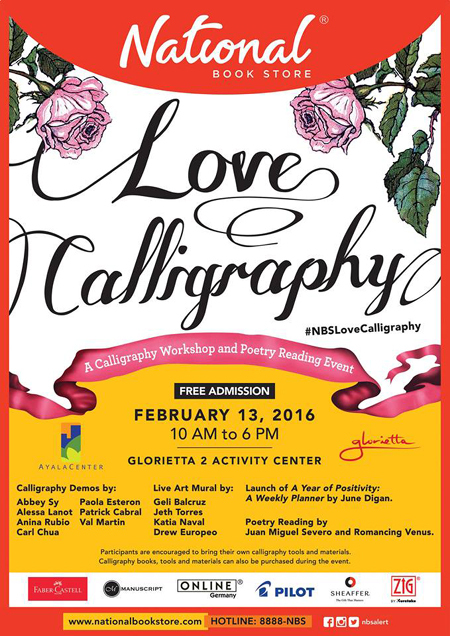 On February 13, 2016 National Bookstore is inviting everyone to their event of Calligraphy Workshop and Poetry Reading. Happening at Glorietta 2 Activity Center 10 am to 6 pm. 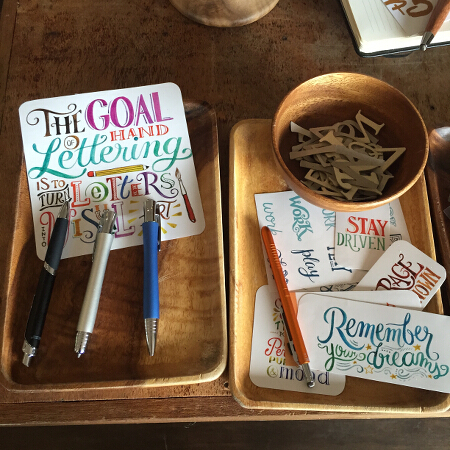 Enjoy a Saturday of lettering and calligraphy workshops, demos, and activities for free. Plus! Get head over heels in love with poetry readings by spoken word artists Juan Miguel Severo, Romancing Venus, and more. Registration is free for all events. Participants are encouraged to bring their own calligraphy tools and materials. Calligraphy books, tools, and materials can also be purchased during the event. Don't forget to tag #NBSLoveCalligraphy to join the discussion. Check their facebook event for more updates. Another event for those who love doing crafts or into craft business. The Crafting Wire Accessories workshop will be held at the Level 2 Bldg C in Tiendesitas from 6pm - 8pm on February 10! Simply register at the Tiendesitas Information Booth! Participants will learn to make accessories from manipulating wire alloy. Accessories can be anything, from bookmarks to jewelry. The workshop is free and the first 15 participants will receive free materials! For those who don't make it to the first 15, you can purchase materials for PhP150. Click here for more updates. For those who love Polymer Clay Art, Tiendesitas also offering Free Workshop of Polymer Clay Charms on February 17 from 6pm to 8pm at the Level 2 Bldg C in Tiendesitas! Participants will learn how to use polymer clay to make two beaded charms each. Materials will be provided only for the first 15 participants. To be sure of your free materials, register at the Tiendesitas Information Booth and / or arrive early for the session.The workshop is still free, those who come after the first 15 may purchase materials for PhP150. Check this link for more updates. 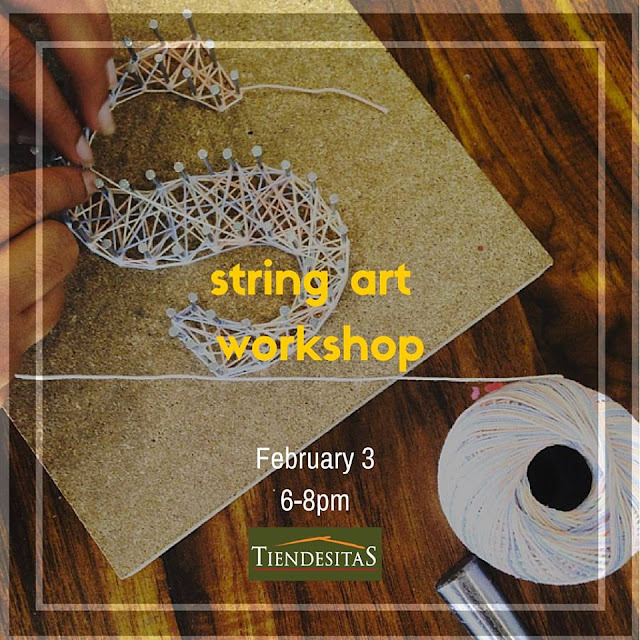 You can still have a chance to experience making string art from Tiendesitas Free String Art Workshop on February 3 at the Level 2 of Building C from 6pm - 8pm. Participants will be able to make their own string art decor, using wood, nails, string and a hammer. They'll be guided on how to transfer their designs onto the wood, and how to string the design. Limited slots only so make sure you arrive early for the session! Simply register at the Tiendesitas Information Booth. The workshop is still free, those who come after the first 20 may purchase materials or they can simply observe the session. Check this link for more updates. Hope you enjoy this workshop. I'll be attending one of this workshop. Guess what it is? See you there! Thanks for these workshop skeds. Been wanting to learn calligraphy. Arts and crafts, too. I wish I have the extra time for events like this! Thanks for sharing though. Are you joining the Love, Calligraphy fair on the 13th? If you are, see you at the fair! These are very useful information. I'd love to learn calligraphy. Very useful info. I'd love to try calligraphy too! I'm so so soooo jealous! I would attend this workshop if only it were held in Davao. The Davao branches need to step up their game haha!